With soaring numbers of people taking anxiety-reducing drugs, it is good to remember that anxiety is a highly-valuable defense mechanism evolved over many thousands of years of evolution. Anxiety triggers cortisol release in essential fight-or-flight responses. Ergo, a calm demeanor in the face of real threats may cost life or limb. These days, the mounting stress of digital media, noise, health scares and financial insecurity appears to have tipped anxiety into a debilitating condition. Clearly, mental health is threatened by modern life. While drugs may help they also cause widespread addiction, a result possibly even worse than the target anxiety. That’s why research into the microbiome-brain-gut axis is so urgent. Anxiety changes the gut microbiota AND gut microbes change the stress response. It’s a two-way street that may yield practical solutions to a massive public-health problem. Probiotics May Be the New Prozac published last year by IPA describes the various evidence in animals and humans. Animal studies make a clear connection: probiotics—mostly strains of commercially-available lactobacilli and bifidobacteria were able to lessen stress response (cortisol production and/or anxious behaviors). In humans, a 2016 review of ten randomized control trials found that probiotic supplementation reduced anxiety by various degrees. For a recap of more studies as well as possible mechanisms of action, read the IPA article mentioned above. Now a June 2018 meta-analysis brings us up-to-date on the literature. The effects of probiotics on anxiety-like behavior and symptoms of anxiety in both humans and animals were analyzed by meta-analyses in major databases. Daniel J. Reis and colleagues at University of Kansas in the United States published The anxiolytic effect of probiotics: A systematic review and meta-analysis of the clinical and preclinical literature in PLoS One. Data were extracted from 22 preclinical studies (743 animals) and 14 clinical studies (1527 individuals). Probiotics reduced anxiety-like behavior in animals. Subgroup analyses showed reduction only among diseased animals. Lactobacillus rhamnosus was the only species identified as anxiety-reducing though evidence was slim. Probiotics did not significantly reduce symptoms of anxiety in humans. Perhaps microbes adhere to the “if it ain’t broke, don’t fix it” school of wisdom. 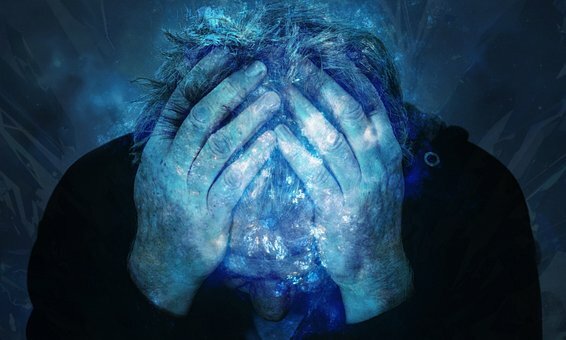 Probiotic research should focus on a target population suffering from significant anxiety. In this age of anxiety, finding volunteers shouldn’t be too difficult.